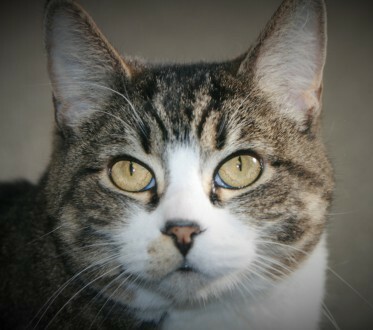 Little miss Rosie came to us about seven years ago needing a home. Immediately she began taking over the practice and winning the hearts of each staff member. On any occasion, you might see Rosie drinking from the water faucets, sitting on countertops making sure the prescriptions are correct, sunning herself in exam room # 2, greeting your pet in the front office or her favorite activity of all, napping in the back break area. She knows every nook and cranny of our clinic so it’s only appropriate that she guides us through our website. Dr. Tim Villm was born and raised in Ogallala, Nebraska. 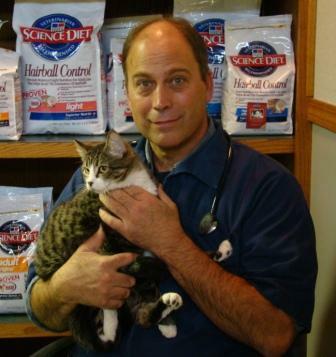 He attended undergraduate studies at Colorado State University, and received his doctor of Veterinary Medicine from Iowa State University in 1987. Because Tim grew up in the Midwest, his first intentions were to become a large animal veterinarian. His first employment in Las Vegas, Nevada changed his emphasis to small animal medicine and surgery. His special interests include orthopedic surgery, exotic medicine and practice management. Olympia, Washington has been home to him now for the past 16 years. He has been married to his wife, Deb for 24 years. They have two daughters, Jessica and Ashley. Dr. Deb Townsend was born in Wilmington, Delaware and raised primarily in Atlanta, Georgia. She attended Brevard College , University of Georgia and Colorado State University with emphasis in animal science. At Colorado State University , she met her husband Tim where they both were accepted into the veterinary program. 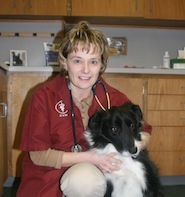 She graduated in 1988 with a Doctor of Veterinary Medicine from Iowa State University. Her special interests include small animal medicine, dermatology and soft tissue surgery. They have two children, Jessica and Ashley. Berta is the main front office receptionist and has worked for Clover Park Veterinary long enough to retire the two previous owners. She is very dedicated to the clients of Clover Park Vet. She and her daughter, Sherry, live out in Roy with tons of critters. Berta has dogs, cats, exotic birds, turtles, horses, a goat, and a flock of wild peacocks. She enjoys spending time with her animals, listening to country music and reading. Tess never fails to express her love for her job here at Clover Park Veterinary Hospital! She has a strong compassion for all our little (and sometimes BIG) patients and their respectable owners. Tess has a few little ones of her own -- two of the human species, two pups, four kitties and a little guinea pig. Although her house seems quite busy at times, she wouldn’t have it any other way. Tess' hobbies include taking long walks with her dogs, Maverick and Mandy, spending time with her family, and belly dancing! 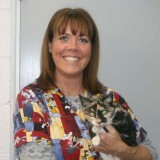 Jennifer has worked for CPVH since 1993, after graduating from the vet tech program at Pierce College. Jennifer grew up in the Lakewood area, but now lives with her husband, Joe, out in Roy. She enjoys reading, surfing the internet, and dancing. In her spare time, Jennifer helps her husband run a trucking business and is active in a online trucking family support group. Jennifer and Joe have two Dobermans (“Rusty” and “Boss”), and a Miniature Pinscher (Mia), 6 cats, 1 horse and a goat. 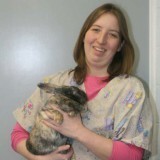 Jennifer has been working in the Veterinary field for 5 years. She attended Pima Medical Institute for Veterinary Assisting and is currently enrolled in Penn Foster to get her Technician License. She enjoys spending time with her two kids Elanie and Silus, as well as her animal kids. Jennifer has a Lab/Dane mix named Thor, Two cats Raggae and Rasta, and an iguana named Silvia. Her favorite hobbies include reading a good book and hiking with her dog. Evan has worked at CPVH since 2013 and has been in VetMed since 2011. 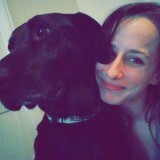 She has previously worked at an animal emergency clinic as a surgical assistant in the neurology department. Evan has also worked in various day practices in her hometown of Port Orchard, WA. In her free time, Evan loves exploring the Pacific Northwest with her two Australian Cattle Dogs, Whiskey and Jethro and husband, Andrew. Susanna is a mother of 3 and was born and raised in Tacoma. 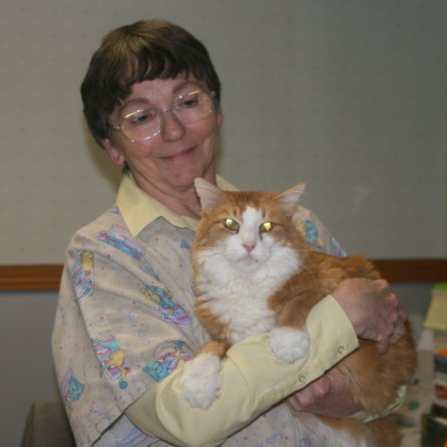 She came to CPVH after working as an assistant and receptionist for 2 Vet clinics in Grass Valley, California for 10 years. Susanna enjoys spending time reading and hanging out at home with her family. She has 2 rats, Dutch and Spike, and her adopted cat Tristan.